1. Not many upgrades available. 2. Re-Tuning the gun can be difficult until familiar. 3. No tournament modes due to being mechanical. 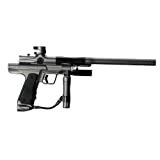 The Empire Resurrection paintball gun is Empire’s take on the old school Autococker which was the premiere gun off its time. 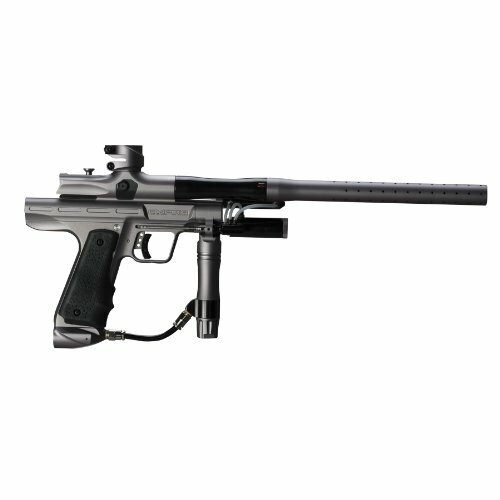 The gun is based on the famous work of WGP and many other companies such as Dye and Planet Eclipse. Empire has cut no corners on this gun basing it’s pneumatic systems of the highest quality ones from the early 2000′s. Having no electronics it is great for bad weather and wet areas since you can’t damage any electronics. Based on Empires Sniper platform the Resurrection is a semi auto only gun. It is built for recreational play and use in the woods. Due to the use of Aluminum it is very light in the hands. On the field the Resurrection is a dream. It’s nearly silent, when firing it’s hard for people to hear which a very good thing is. It’s also very light due to the heavy amount of milling on it. Speed is no problem and it does fine competing against electronic guns. Plus not having to deal with batteries is great. The Resurrection comes tuned out of the box for peak performance. The only things you should ever need to do are clean the bolt and lube it. If you do decide to open it up any more than that you will need to re-tune many of the parts such as the High Pressure Regulator (HPR), Low Pressure Regulator (LPR), and the Timing. You should also take out and lube the regulator ever 5 cases. The gun comes in two beautiful finishes, Black and Silver. It comes with a low pro feedneck with twist knob clamp. It also ships with a 6 piece barrel so you can fit the paint perfectly to the barrel. The gun has a high end sliding trigger for very smooth trigger pulls. Another feature is the Delrin bolt which is very light and fast moving. Some tips for tuning is to leave the IVG out and to tune through the regulator. This will give you a softer shot and will be better on paint. Another thing you can do is turn the LPR out just a couple millimeters to make it shoot slightly better. The bolt can be lubed as heavy or as light as you prefer as well. TechT Hush Bolt for Empire Resurrection: This is an upgraded bolt still made of Delrin but the way it is designed allows for quieter sound when firing. CP Regulator Extender: This is used between your tank and your ASA if you feel your tank is to short this is good because more length will let you run and gun better. Itâs also great if you donât want to buy a whole new tank. Exalt Regulator Grip: When playing your hand will get sweaty and may slip of the Reg the Exalt Reg grip is made of rubber so your hand wonât slip even when wet.